New York in the 19th century had its headline-grabbing nuptials—from the “fairy wedding” of General Tom Thumb and Lavinia Warren in 1863 to the doomed union between Consuelo Vanderbilt (daughter of society wannabe Ava) and the 9th Duke of Marlborough in 1895. But for excitement and novelty, it’s hard to top the ceremony pulled off by one couple months after the end of the Civil War. 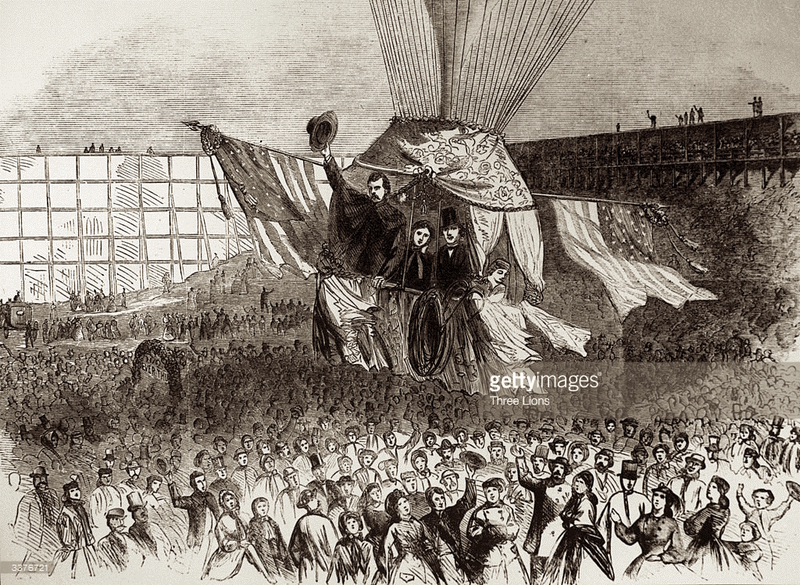 “For some days now the curiosity-loving portion of the New-York public have been all agog with the latest sensation—a projected marriage in a balloon,” wrote the New York Times on November 9, 1865. There was something “peculiarly novel, not to say ridiculous, in the idea of a wedding taking place amid the clouds, with all mundane witnesses shut out by fleecy vapors, and the epithalamium sung by the rattling cordage of the aerial ship,” the reporter wrote. But the newspaper covered the wedding anyway, which took place in a hot-air balloon with a wicker car that seated six. 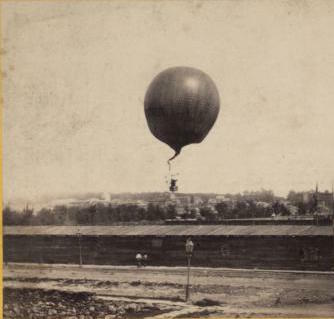 It was built by scientist and inventor Thaddeus S. C. Lowe, who had been in charge of the Union Army Balloon Corps during the Civil War and dreamed of making a transatlantic flight via balloon. The weather was fair and calm, and lift-off scheduled for 2 p.m. Other New York papers wrote it up as well with the same sour tone. 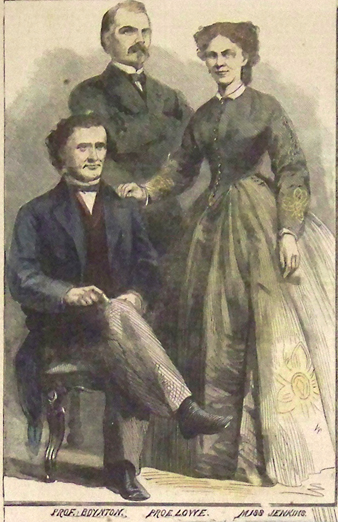 “The bridegroom was a fat old widower of 50, his bride [Mary Jenkins] a lady of 25,” wrote the Brooklyn Daily Eagle. An hour and a half later, the balloon touched down safely in Westchester. 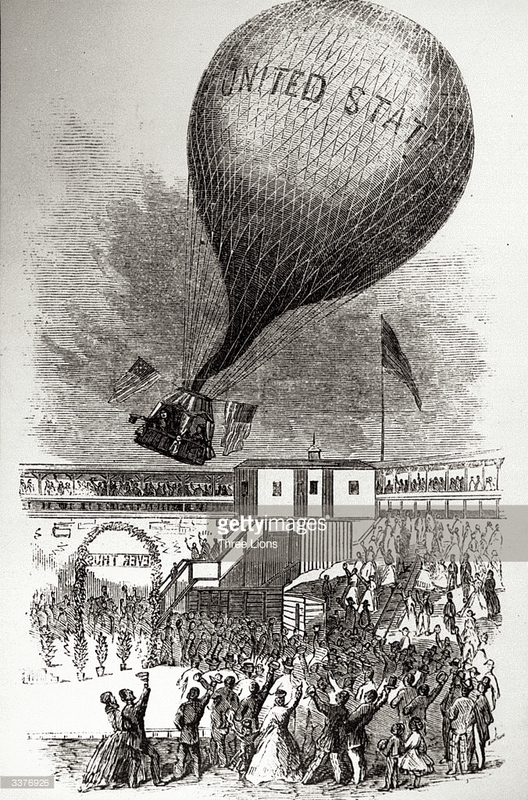 Apparently Lowe built an amphitheater at the lift-off site in Central Park and offered balloon rides to the public—until this particular balloon, named the United States, was destroyed by a tornado in 1866. The Gilded Age was an era of excessive money—and crazy-sensational fads. Find out more in New York in the Gilded Age, 1870-1910.